힙합 듀오 Playaz Circle 출신으로 2012년 솔로 데뷰작 [Based on a T.R.U. 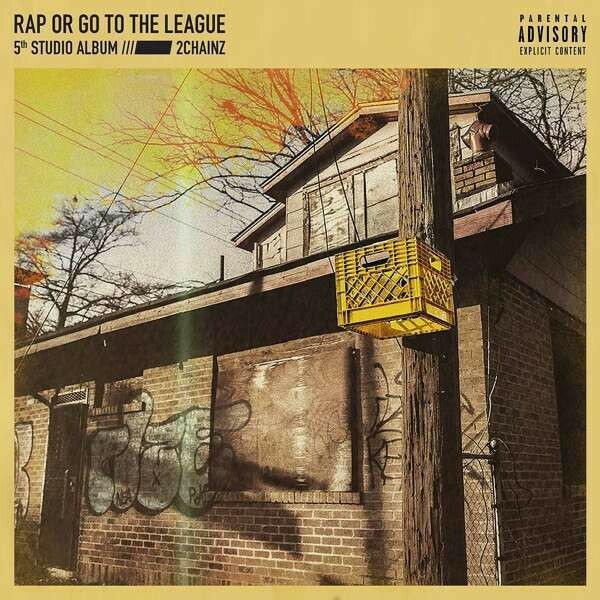 Story]로 스타덤에 오른 랩퍼 2 Chainz의 다섯번째 솔로 앨범 [Rap Or Go To The League]! 3월 1일에 발매되어 빌보드 앨범차트 4위 R&B/힙합 앨범차트 정상에 오른 앨범으로 Marsha Ambrosius, Young Thug, Travis Scott, Kendrick Lamar, Ariana Grande, Lil Wayne, E-40등이 녹음에 참여했다. 2018년 11월에 공개했던 싱글 'Girl's Best Friend', 팝요정 Ariana Grande와 호흡한 최신 싱글컷트 'Rule the World'를 포함 신곡 14곡 수록!